Since her first visit to Children’s Hospital of Pittsburgh of UPMC, Caylee has had ten bowel reconstruction surgeries and numerous other medical procedures. Currently, she and her family travel to Pittsburgh every other month for doctor appointments. The in-between times, when Caylee falls violently ill after appearing healthy, are when the family relies on Mercy Flight to transport her to the Pittsburgh hospital…FAST. 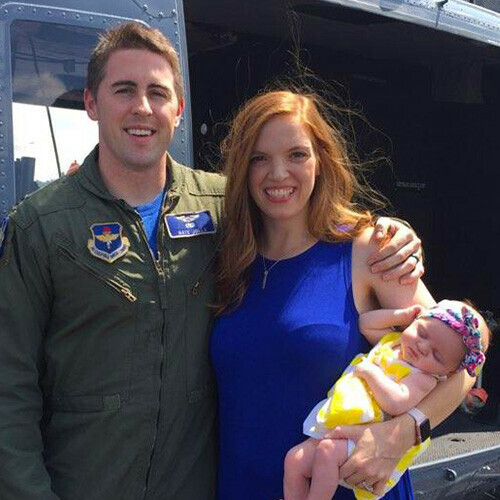 Caylee has utilized Mercy Flight five times within the past five years. Emily, Caylee’s mom, notes that the staff with Mercy flight are not only experts at stabilizing and comforting her young daughter, they’re also compassionate with calming her motherly fears during the flights. Caylee hopes to become a doctor one day, inspired by her experiences with the Mercy Flight crew. Caylee has grown close to her crew who she refers to as her “Orange Life Savers”. Watch her story by viewing the video below.